A place for Black Women around the World to find Inspiration, Information and More. Visit Rightly Dressed's profile on Pinterest. Black Wombman Empowered Health workshop is a well needed space created for like minded sisters to gather together for honest, open dialogue about challenges to health, spirituality, diet and healing that black wombmen face. The space created is for us to share our stories, energies and heal together. Within this space we will impart knowledge about diet, nutrition, health, spirituality & emotional healing. We will support you to uncover your innate power tools and gifts to suceed in life. To help and improve your relationship with food, family, friends and most importantly with self. Spirituality is defined as one’s personal relationship with divinity and focuses primarily on ones individual experiences of the transcendent. Health is defined as healing the body, mind and soul from inside out. Spirituality and health are vitally important to the psychological well-being of black wombmen. The two fit like a hand to a glove. In order for the black wombman to rise and reclaim back her leadership role in her community, spirituality and health must be reconnected and become harmonious and balanced within. Our approach to facilitating the Black Wombman Empowered Health workshop is unique, empathic, holistic, creative and empowering. So book your ticket and be a part of an authentic experience. Come and enjoy soulful connections with like minded sisters as you reclaim your health, spirituality and life. Embrace a new way of being, perceiving and experience greater freedom, joy and well being. Bring along a journal and wear comfortable clothing. We look forward to seeing you there!! The Kings and Queens from Ghana visited the Surinam community in Amsterdam The Netherlands. Surinam is a former colony of the Netherlands. Since 1975 Surinam is independent. Roots of former Surinam slaves can be found in Ghana. Website for Black Women is about to unveil a new look for its anniversary. Rotterdam, NL/Stockholm, SWE October 29, 2008 – Women of the African Diaspora website is having a birthday complete with gifts for its readers. The website, which celebrates Black women, will unveil its new look and a new domain name on November 1, 2008. Women of the African Diaspora website leverages the global reach of the Internet to share relevant news, event notices and showcase a wide range of talented Black women including authors, artists, musicians, entrepreneurs, and others. And with Black women living on virtually every continent, it certainly has a large market. The year has been marked with highlights for the Women of the African Diaspora co-editors, with Ms. Rafaela’s Afro European Sisters Network blog being awarded blogged’s “great” rating. Ms. George’s Black Women in Europe blog was a member of a credentialed blogging team at the Democratic National Convention in Denver. Her blog also won the Helping Hand Award, a 2009 Black Web Award for Best European Website, and was a finalist for a 2008 Black Weblog award. Within the next year, Ms. Rafaela and Ms. George have big goals for the website: to introduce new categories including a section showcasing photographers, increase the number of visitors, attract quality advertisers, and continue to fill every page of Women of the African Diaspora with inspiration and information for Black women. Anniversary gifts are provided by Creating Tomorrow, iPavilion, Marsha T. Jenkins, Lutishia Lovely, and Victoria Wells. 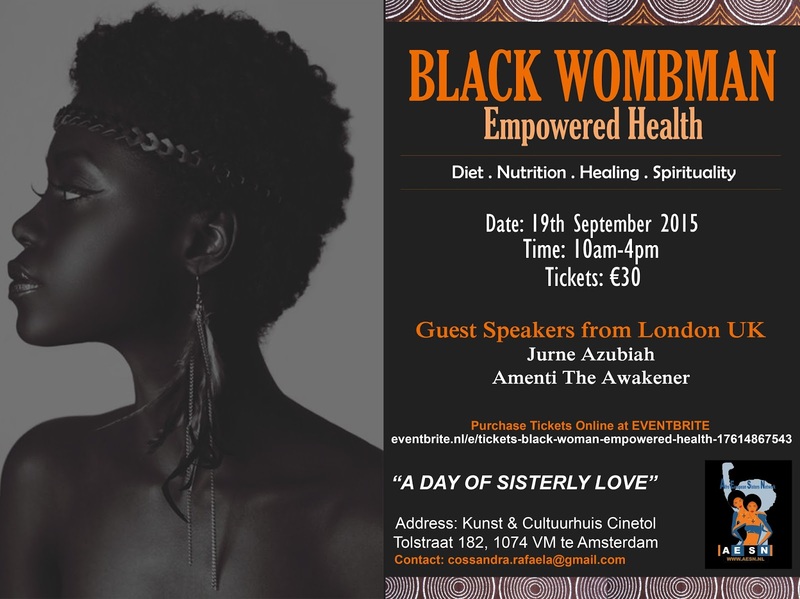 More information is available at http://blackwomenineurope.com.